Architects: SHoP Architects; Program: Residential; Completion: 2015. 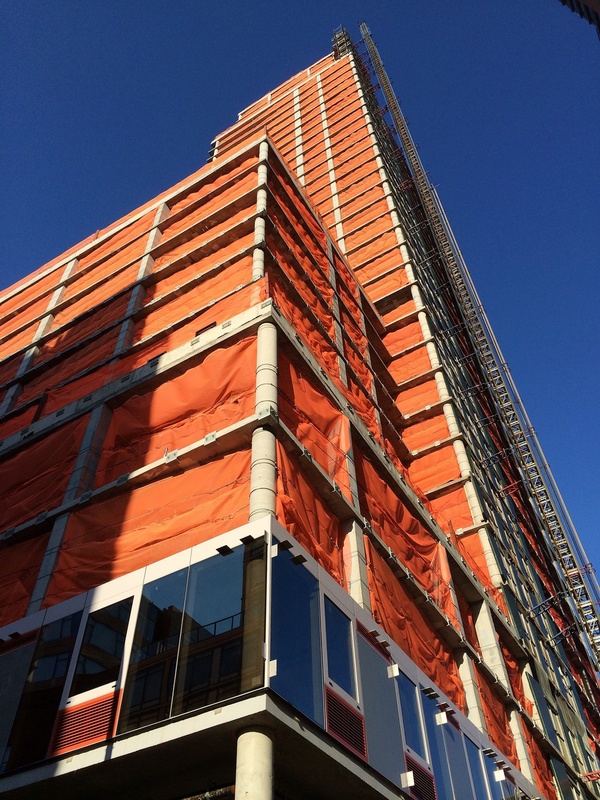 The first floor of curtain wall has been installed on the East and North facades of the first tower at Hunters Point South. The start of curtain wall installation has been significantly delayed since the topping out of the concrete structure but appears to now be on track. 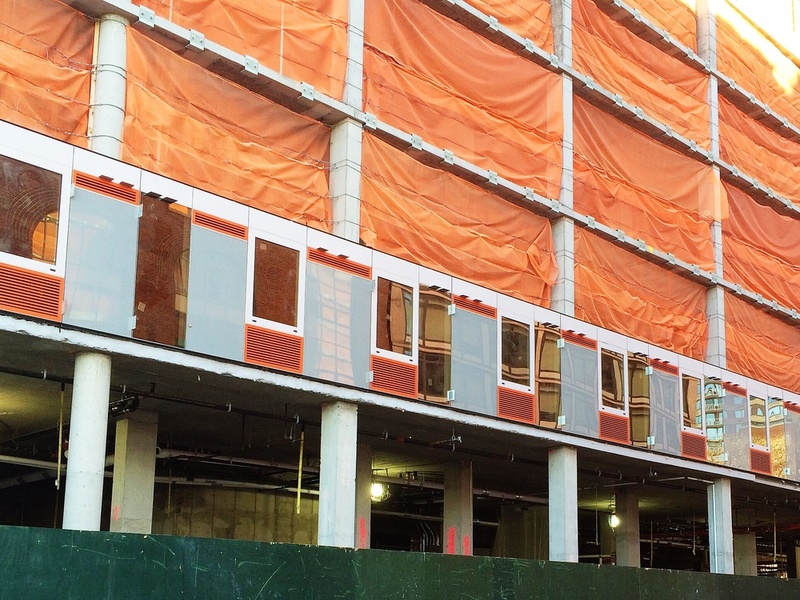 Notable features of the facade include: orange PTAC units, light gray spandrel panels, and clips for the later installation of the vertical fins that run up the building.